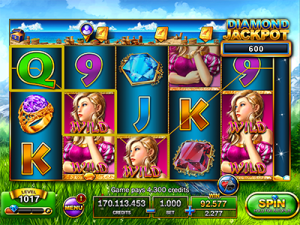 The Diamond Queen will lead you to a land of stunning gems and jewels. 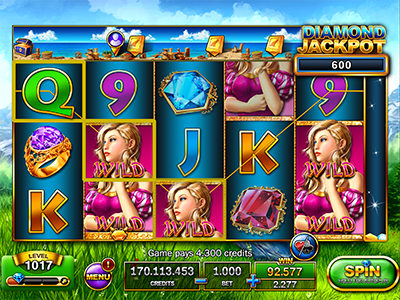 Collect them all and the Diamond Queen will reward you with a special Jackpot win! 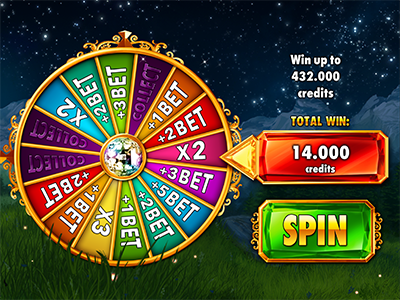 Play on 25 win lines and win big! 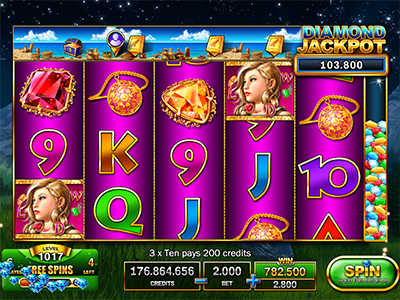 3 Unicorn symbols trigger the Wheel bonus game. 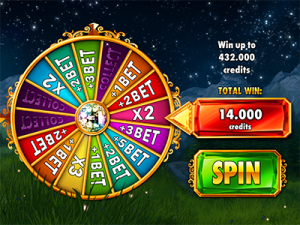 Spin the wheel and try to win big! Good Luck! 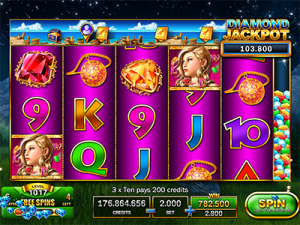 3 City symbols trigger 10 Free Spins with sticky wilds. Good Luck!